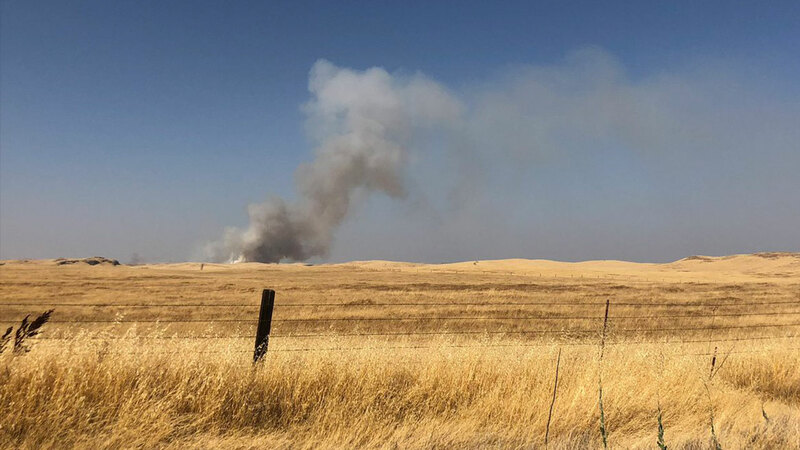 FRESNO, Calif. (KFSN) -- CAL FIRE officials say they are battling a 100-acre grass fire southwest of the Madera County community of Raymond. #ABC30insider Jenny Ellen sent us pictures on Twitter showing the billowing smoke shot from a distance. Calfire says they responded to the fire shortly after 3:30pm Thursday. Multiple crews are on the way to the fire now.